Samsung has released many tablet products which have been the best iPad killers for years. Most of us may have heard of the Galaxy series including Galaxy S2, Galaxy S3, Galaxy Note and the Galaxy Tab which is the tablet series of Samsung products. The Samsung Galaxy Tab (10.1 or 8.9 or 7.7) is suitable for you to watch your favorite movies. However, Galaxy Tab 10.1/8.9/7.7 doesn't play movies purchased from Apple iTunes store. What if you have lots of iTunes movies and want to enjoy them on Samsung Galaxy Tab for playback? Why Galaxy Tab doesn't support iTunes video files? How to transfer iTunes videos to Galaxy Tab easily? In this article, you will find all the answers. Samsung Galaxy Tab doesn't play iTunes movies due to the DRM protection. Because of Apple DRM, movies bought from iTunes store can only be played on Mac or iOS devices. To put iTunes movies on Galaxy Tab 10.1/8.9/7.7 for playback, you need to both get rid of DRM and convert iTunes M4V video to MP4 format which is compatible with Galaxy Tab. 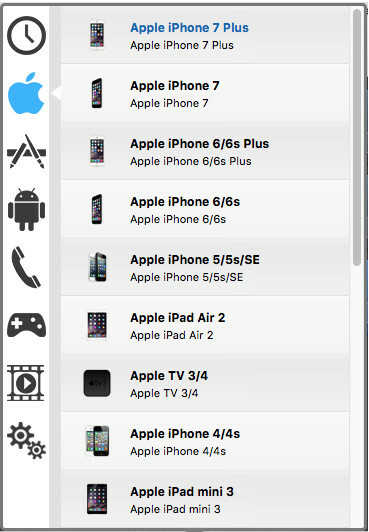 In order to do this, a useful iTunes DRM video converter is necessary. 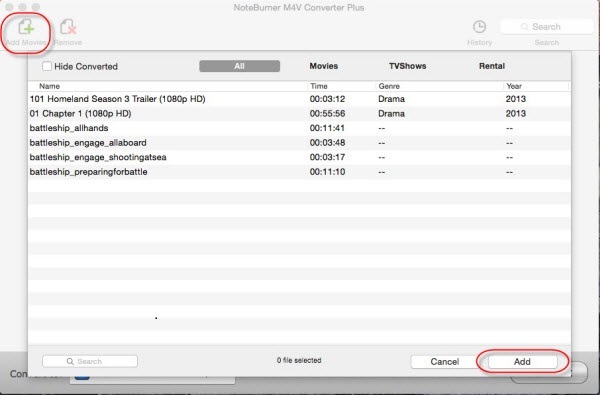 NoteBurner M4V Converter Plus (For Mac & For Windows) is highly recommended to convert iTunes video to Samsung Galaxy Tab supported video files. It is an easy-to-use DRM removal and iTunes video converter for both Windows and Mac users. You can remove DRM from movies/videos/TV shows purchased from iTunes, and convert these videos to any popular video format like MP4, MOV, AVI, WMV, FLV, etc. for playing and sharing anywhere. More reasons you will love it is that it removes DRM and converts 20X faster than other prorgams with original AC3 dolby 5.1 surround audio and subtitles preserved. The ouput video qulaity is 100% lossless! What's more, it can also remove DRM from itunes rentals to keep iTunes rentals forever! 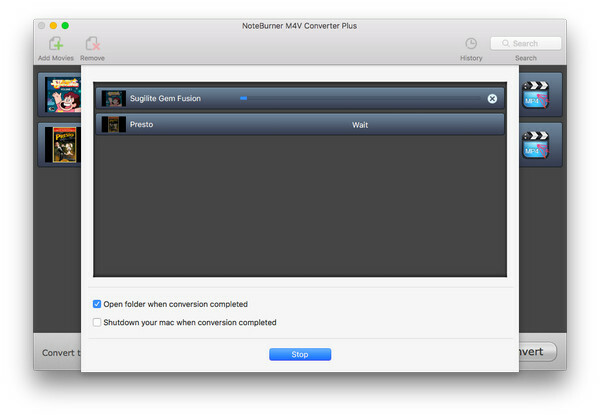 You have two choices to import the M4V video resources to NoteBurner iTunes DRM video converter on Mac. Either directly drag video files to the program or click Add Movies button to import from iTunes library. To convert iTunes M4V for Galaxy Tab playback, you need select the output format as Same as source for mp4 from the profile list, since the MP4 video can be smoothly played on Galaxy Tab 10.1/8.9/7.7. Click Convert button to start to convert iTunes DRM M4V movies to Galaxy Tab MP4 video. Before that, you are also allowed to adjust the video and audio settings according to your preference. After the conversion finishes, you can easily transfer the converted MP4 videos to your Galaxy Tab for enjoying. If you need a powerful Apple Music Converter to help you remove DRM from Apple Music songs? NoteBurner iTunes DRM Audio Converter is highly recommended, which is a professional Apple Music Converter to help you remove DRM and convert Apple Music songs to MP3, AAC, WAV and FLAC at 20X faster speed with lossless quality.